Migrating your 32-bit Windows application to a 64-bit machine can be problematic if you have 32-bit DLLs that you cannot re-write. Mike Becker shows you how you can access 32-bit DLLs from 64-bit code using built-in IPC mechanisms. Microsoft’s 64-bit technology first appeared with Windows Server 2003 for Itanium 2 (also known as IA64 Architecture) and for eXtended technology CPUs (also known as x64 Architecture). It offers many advantages but also raises new issues for the software developer. For example, you may still need to access existing 32-bit DLLs from a 64-bit process. A key advantage of 64-bit technology is its ability to address up to 8Tb of memory, against a maximum of 2Gb for 32-bit processes. As a result, 64-bit technology allows most data processing to take place in memory, without any need for temporary disk storage. This can considerably increase performance and open up new data processing scenarios. There are therefore good arguments for migrating current 32-bit software products to a 64-bit platform. Many C or C++ applications are easy to migrated to a 64-bit platform, particularly if they are written in a monolithic fashion. Sometimes they just need to be rebuilt with an x64/IA64 compiler to run as native 64-bit applications. However distributed or module-based software can cause more problems. A major migration issue concerns 32-bit software components which cannot be migrated, perhaps because the source code is lost or one of the dependencies cannot be migrated. Your 32-bit software is still supported on a 64-bit platform as 32-bit processes can be executed inside the dedicated Windows on Windows’ (WOW64) subsystem which is part of all 64-bit Windows operating systems. However a 64-bit process cannot load a 32-bit module into its process space, and a 32-bit processes cannot load a 64-bit module into its process space. The only way that communication can happen between 32-bit and 64-bit modules is through interprocess communication (IPC). In other words, 32-bit and 64-bit processes can exchange data using IPC techniques such as out-of-process COM, sockets, Windows messages or memory mapped files. process. However if only the main module is migrated to 64-bit, it will not be able to load the 32-bit DLL. The best way to migrate such a product to a 64-bit platform is to migrate both the main module and the dependency DLL, but if the dependency DLL cannot be migrated then it cannot be loaded into the 64-bit process and the application won’t work. This issue can be solved by loading the dependency DLL into a separate 32-bit process space. The main module, running as a 64-bit process, can then access the dependency DLL across the process boundary using IPC (see MSDN reference). A 64-bit process can access a 32-bit DLL across a process boundary if the 32-bit DLL is loaded into a separate 32-bit surrogate process space, and the application makes use of the built-in IPC mechanisms that support data exchange between 32-bit and 64-bit processes. This solution requires additional work as the 32-bit surrogate process that loads the 32-bit DLL and exposes its API must be created. Also, some changes will be necessary on the 64-bit side as the consumer must use one of the IPC techniques instead of directly accessing the 32-bit DLL. It is worth noting that, in extreme cases, this additional work could be comparable to the work involved in developing a 64-bit version of the 32-bit DLL from scratch. One possible way of reducing these costs is to implement a 64-bit wrapper’ DLL that exposes the same functions, parameters, types and so forth as the original 32-bit DLL. This wrapper DLL can then make IPC-based calls to the original 32-bit DLL, which has been loaded into a surrogate process. (WeatherReport) without you needing to make any changes to the code of either the main process or the 32-bit DLL. This wrapper DLL delegates calls to the 32-bit DLL, which is running in a surrogate process, using IPC. The main costs of this solution arise from implementing the surrogate process, loading the 32-bit DLL and implementing the 64-bit wrapper DLL. The actual cost depends on the IPC technique used to exchange data between the 64-bit and 32-bit processes. into the 32-bit DLL, and exposes the 32-bit DLL interface as a COM interface. server as hosting process or a Win32 service as a dedicated COM server. The 32-bit DLL (WeatherStationControl.DLL) is used by a COM object (WeatherStationWrapper) which exposes the interface of the 32-bit DLL as a COM interface. The 64-bit wrapper DLL (WeatherStationControl64.DLL) makes calls to this interface which are delegated to the original 32-bit DLL. The main process (WeatherReport) calls the interface exposed by the 64-bit wrapper DLL but is in fact served by the original 32-bit DLL. This solution should be significantly less expensive than creating a 64-bit version of the 32-bit DLL from scratch. Microsoft’s ATL technology is supported by Visual Studio with wizards and ready-written code fragments which should also help lower migration costs by saving time and reducing the likelihood of errors. SDK includes documentation about the differences in memory data alignment between 32-bit and 64-bit processes. In most instances, 64-bit Windows uses the same data types as the 32-bit version. The differences are mainly in pointers which are 32 bits long in 32-bit Windows and 64 bits long in 64-bit Windows. The pointer-derived data types such as HANDLE and HWND are also different between 32-bit and 64-bit versions. Windows helps you to keep a single code base for both 32-bit and 64-bit software versions by offering polymorphic data types that have a different length depending on the target platform, for example INT_PTR declares an integer with the size of a pointer’. Any variable of this type is an integer which is 32 bits long on a 32-bit platform and 64 bits long on a 64-bit platform. You can only access a COM object from a Windows application the object has been successfully initialized. The COM API function CoInitialize()must be called for each thread that is going to access a COM object before any COM interface calls are made, and the complementary call CoUninitialize() must be performed before the thread exits (see MSDN reference). This rule must be strictly respected if the main process calls to the original 32-bit DLL are multi-threaded. The OOP COM component instantiates COM objects in a separate process, whether a surrogate process, a COM server or Win32 service. This can mean that calls to the 32-bit DLL may happen in a different security context to the main process, especially if the main process makes intensive use of impersonation. If this is the case you may want to configure dedicated credentials for the OOP component, or implement internal impersonation in the COM object. there are numerous optimizing techniques that you can use such as COM pooling, caching inside the wrapper DLL, chunky’ versus chatty’ calls over process boundaries, implementing performance critical interfaces directly in the 64-bit DLL, and so forth. The WOW64 subsystem is in charge of supporting 32-bit modules on 64-bit Windows. To avoid unwanted collisions between 32-bit and 64-bit software, particularly when accessing the file system and registry, WOW64 isolates 32-bit modules using a process called redirection’ (see MSDN reference). For example, for a 64-bit process the call to obtain the system folder pathname returns %WINDOWS%\System32, but for a 32-bit process it returns %WINDOWS%\SysWOW64. The program folder path for a 64-bit process is Program Files’, but for 32-bit process it is Program Files (x86)’. The registry key HKEY_LOCAL_MACHINE\Software contains 64-bit process settings and data, while the key HKEY_LOCAL_MACHINE\Software\WOW6432Node contains 32-bit process settings and data. This redirection is activated automatically when software modules call to popular pre-defined system paths or registry keys. The solution proposed here is for 32-bit user level DLLs, and doesn’t work with 32-bit drivers. This is because 32-bit kernel modules cannot be used on a 64-bit platform, with no exceptions or workarounds. If your product includes any kernel level module, such as a device driver, then the only possible migration route is to re-write the kernel module as a 64-bit process. Mike Becker is a senior consultant at Microsoft Consulting Services in Germany, working in the Custom Development department where he supports Microsoft customers with made-to-measure software for telecommunication. He has over 25 years programming experience, much of it involved in implementing Microsoft technologies and particularly system drivers. Mike has obtained numerous software architecture and design certifications for Microsoft and non-Microsoft technologies. I found your article very interesting but acording to this (http://msdn.microsoft.com/en-us/library/aa384253%28v=VS.85%29.aspx) registry reflection is disabled with Windows 7 so I get only “Class not registered” if I try to initiate with “CoCreateInstance” because the CLSIDs including InprocServer32-keys are not reflected anymore because Microsoft assumed that 32-bit-DLLs would not be loaded. Or do you have any workaround for this? I decided to create a COM-EXE-Server to avoid this problem. Unfortunately not. Mike Becker may have a copy, but I do not have any contact details for him. Sorry! Thanks for responding, Mike. Your article is still proving popular after all these years! do you have an example project for the described method in the article above ? how should I contact you ? I am a student from Germany and need the sample project for my studies. Could you please send me the source code to enable me to learn this concept quickly? I know you wrote the article a while back. Curious if I could possibly get a copy of the source. I have the same request as Allwyn. Also curious if I could possibly get a copy of the source code. Sir could you please share a sample source code for the above concept ! Great article. Does this approach also apply to the case when a 32-bit application needs to access a 64-bit DLL? In this case, the x64 surrogate process would load the 64-bit DLL, and the 32-bit application would make calls to a 32-bit wrapper DLL, which in turn communicates with the surrogate process. Thanks in advance. Thanks! Unfortunately I’m no longer in contact with the author so I can’t help. I would however point out that the article is now five years old and may not be accurate for more recent versions of Windows. HAtsOff! Very Knowledgefull article for a geek who is fresher in IT like me, I am highly thankfull to author. Is there anyway an application after installing can intervene to COM? Having an problem make dll 32 bit can not access from dll 64 bit? great article, do you have a sample code? can anyone help with the sample code plz ? 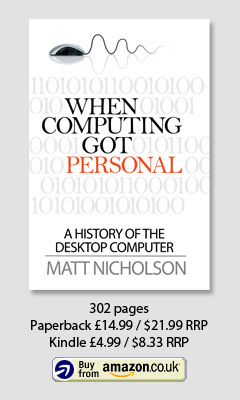 Can you recommend a book for COM technology.? If all you want is the example above, using Microsoft tech, the way to go, simpler and faster, is to use shared memory. Can be done between 32 and 64 bits. ” Accessing 32-bit DLLs from 64-bit code “.. I am struggling with similar situation. I know this thread is getting old but getting the source code would help me out. Does anybody have it handy? I’d sure appreciate it!! As you say, this thread is getting old – the original post was written nearly eight years ago which is several lifetimes in the world of software! If anyone does have useful source code then I’m happy to link to it from here, but otherwise I’m afraid I can’t help. Excellent! As I said, I’d be happy to link to it, or host the code here – whatever works best for you. I got the source code from Marcel. Thanks Marcel!! At a high-ish level I understand the code. The COMServer project is almost EXACTLY what I want to do. I’m in VS 2012, not that it probably matters, but I would like to recreate this project. What are the steps? Start with IDL? Is there a Wizard in VIsual Studio? If I can recreate COMServer I’ll be in good shape. Could you please send me the source code to lambesh@yahoo.com? can you send the code to my E-Mail? Sent the source code to your email address. Please can you send the source code to bcvn2000@yahoo.com. Another question. What is the COMServerPS project about? What is PS? Yes I was very glad to find this article, and it is still useful despite all the time that has passed — thank you. And I want to pass along some additional ideas/information/resources that may still be helpful to others. I expect that this will work for many contexts like Visual Basic and C# and Visual Studio, but in my case i was actually able to drop an old 32-bit ActiveX control (with its own GUI and built in VisualStudio as a ActiveX DLL) onto a Delphi form at design time, and the resulting 64bit exe works the same as the 32bit exe (in fact both can run at the same time)! (Note that this was a Delphi XE8 design time form for a “VCL-Forms” application built for “64-bit Windows”). I also want to mention that the registry mod needed in my case was even simpler than described in the gfi article. In my case the AppID name was already defined in HKey_Classes_Root\Wow6432Node\CLSID\[myGUID] key — altho its string value was a differentGUID than myGUID, that didn’t cause problems — and so the only change necessary for me was to add the DllSurrogate string value to HKey_Classes_Root\Wow6432Node\AppID\[differentGUID] with an empty value as described. That was the only change necessary and i am still shocked that it seems to be working. I hope this is helpful to others. Could anyone send the sample code to my e-mail nordfall@gmail.com, please? Could you share the source code to my e-mail kishore_cse@yahoo.com, please? Please do feel free to send me an email (lambeshatyahoodotcom) if you wish to have the source code, I know how hard it is to get it. I am more than happy to help you out as soon as I see your email. It is like most of Microsoft doc: an article can seems good, but is not really good without code sample. If its author is happy to share, then I would be happy to make the sample code available from this site – even if it is ten years old! Thanks Mike – that’s really helpful. It seems the provided sourcecode from the link(https://1drv.ms/u/s!As2tYxuPStfUp6o1zAxunGoAPssrqA) is incomplete. It’s missing the x86x64 and x86x64PS projects and source. Can you please upload a complete version? Thanks a great article on this problem. What would the C# client look like in C++?? Thanks! Not much different. Check the code archive – there’s a x64client sample written in unmanaged C++. If you are looking for C++ managed – it would be very similar to C#. Thanks Mike. Where are the code archives? I’m poking around. Thanks! Sorry. Unmanaged is what I’m interested in. I owe you one. Thanks! Weird. The proxy stuff is all commented out in the x64 client. I uncommented them but the Ix86LibraryProxy is undefined. The import seems fine. How do I get this defined? IID_Ix86LibraryProxy is also undefined. As you can see, I’m a super noob with COM. I’m getting there though! This article celebrates 10th anniversary today: I still receive regularly mails, questions and feedback – the topic remains in focus for many developers. Thx to all for asking and contributing – good luck in bridging 32 and 64 bits worlds! And thanks, Mike, for keeping an eye on the blog. I bet that when you wrote it you never thought it would still be relevant all these years later. I am trying to implement this by myself and it is failing，so could you send the sample code to my e-mail snowy417@163.com, please?Thank you a lot! This article is really helpful to understand how communication is possible between 32bit and 64bit application. Hi Mike, Please correct me if I’m wrong, but why all projects are build either in 64 or 32 bit? The idea is to be able to access a 32bit from 64bit. So, “x86Library” project should be build in x86 configuration while “dotnetclient” should be build in 64bit, right? What am I missing since it doesn’t work when I build as I just explained. Hi Igor, the reason is – Windows doesn’t permit to mix x86 and x64 native (!) modules in one process space. So, the COM wrapper for a native x86 library must be x86 – and there’s no way to change it. Once the COM wrapper exposes the interface of the native x86 library as COM interface – it is accessible for both x86 and x64 processes: since there’s no mix in one process space but interprocess communication in place. Sure you can build the .NET client as x86, x64 and even anycpu – the marshalling and other stuff is then handled by CCW/RCW. Can you please upload your code again? Good one. Can you please upload your code again? Great article. could you please send me a sample code? This is a great article. However, the links to the code samples are not valid anymore. Can somebody please upload your code again or send it to me? Thanks for doing that Mike. Seems there’s still a demand for the code! windows - Puede un 64 bits EXE enlace en contra de las Dll de 32 bits?